Before we were asked to write a trustmypaper.com review, we have never heard of such writing service. Even so, the company’s website indicates that this is a popular company with 98% loyalty rate. Still, we found the website to be quite a mess, which made our evaluation very frustrating and time-consuming. Regardless, the main goal of our evaluations is to see if the company in question, in this case TrustMyPaper, is legit. Let’s see what we learned. The list of services offered here is solid, but we wouldn’t rate it as extensive. Trustmypaper seems to be offering the most common writing, editing and proofreading services, separated into few categories. If the quality of content is as good as the website suggests, this would make for a nice choice of a regular provider. Of course, the main customers of the company are students, so prices are a key factor when making the decision about a service. 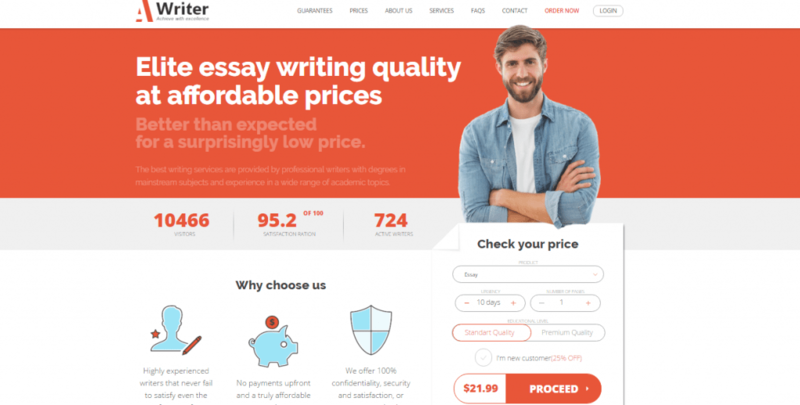 In this case, we are looking at an averagely rated writing service, where you can get writing services that start at $12.99 per page. If you want to get some extra features or choose to have your paper written by a UK writer, you’d have to pay extra. Fortunately, there is a 15% discount on the first order, and an inviting loyalty program that helps you get lifelong discounts of 5%, 10% and 15%. However, getting to the point where you get even the lowest loyalty discount is very hard, since you have to pay the full price until you spend $399. Unfortunately, this company turned out to be quite a disappointment. We got a nice discount since this was our first purchase, but Trustmypaper.com is certainly not worth the rates they charge. The research paper we got here was of terrible quality, and had a tremendous amount of mistakes that were not fixed. After reading it, we got the impression that the writer who worked on it was not a US writer. When we got the bad paper, we immediately got in touch with the customer service. The agents here reply promptly and are very professional, but after a while, you realize you are not speaking to an actual agent, but to a bot. Therefore, when we explained our problem with the paper, we got an answer that did not fit our question whatsoever. The worst part was, we learned that the service actually charges for a better customer service. If you want to get their ‘premium customer service’, you have to pay $9.99! This is something we have never seen so far, and is the most frustrating part of our evaluation. At the end, we got no revision or apology for the low quality content. We kept receiving e-mails from the company for a month, persuading us to order again. The low quality papers and non-existent customer service at Trustmypaper.com make us believe that this service is not a good pick for your academic papers. We would rate their pricing as realistic, but the quality of service and writing most certainly make these prices unfair.